Gimbal head balances the camera and lens at their natural centre of gravity. 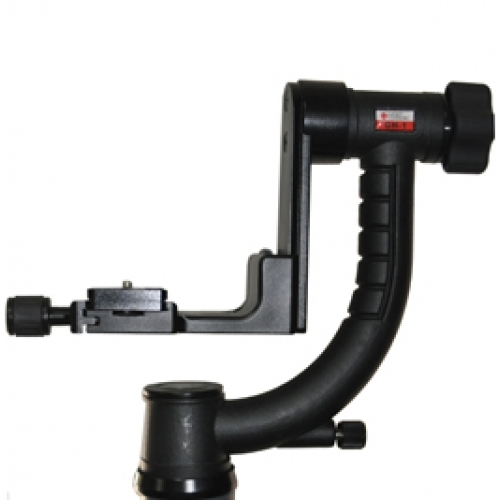 Balances the lens naturally and is very much useful for mounting large telephoto lenses. Photographs can be clicked the way a large telescope lens is mounted.